Women’s World Cup Ratings Best the NBA FinalsIt was the most watched U.S. soccer game ever. NBC Is Making a Comedy About a Gay Soccer PlayerCalled Men in Shorts. Will Ferrell Gives an Inspiring Soccer Speech, Says He’s Joining the U.S. TeamUSA! USA! USA! 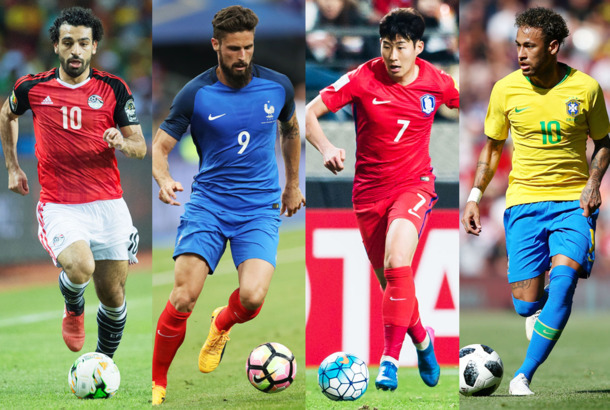 Best of Netflix, Amazon, and Hulu Streaming: Soccer MoviesWatch these in between World Cup matches. Why Did Battleship Open a Month Early in Europe? Blame SoccerAnd rugby. And cricket. And the Olympics. Those Europeans, with their sports! See a Heartwarming Short Movie About a Thai Kids’ Soccer TeamThey build their own field, and it gets emotional. See Weezer’s World Cup Video, ‘Represent’USA! USA! R. Kelly Opens the World Cup, MagicallyAre those two winter coats he’s wearing?